Here at Brightway, The Vincent Zanfini Family Agency we offer the best insurance-buying experience available. For us, that means being the trusted industry experts in your neighborhood and providing more choices of insurance companies and policies. Our team is led by Vincent Zanfini, an agent dedicated to building the best team of insurance experts to provide customers with an extraordinary experience. Across the board, the team knows that developing relationships is the best way to understand your needs and provide the personalized attention you deserve. Born and raised in Martin County, Vincent graduated from Martin County High School in 1998 and attended Florida Atlantic University. Determined to work with Tony, Vincent completed his license requirements and began his successful career at Brightway Insurance. 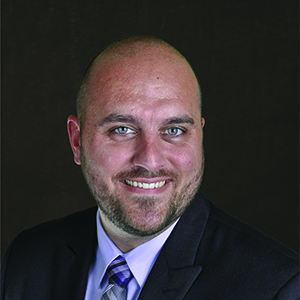 Vincent is a member of the Stuart/Martin Chamber of Commerce, Business Networking International (BNI) and the Martin County Board of Realtors. Vincent’s commitment to finding customers the coverage they need and deserve has earned him a dedicated following. As a result, in 2014, he was the most successful Insurance Agent in the Brightway system. Vincent and his wife Chessa live in Martin County with their two children. Peter graduated from Martin County High School in 1999. After a four year Army career, Peter earned a Bachelor of Arts Degree (2009) and Master of Public Administration Degree (2013) from Wayland Baptist University. Peter completed the licensing requirements through the Florida Department of Financial Services and enthusiastically joined the Brightway Team in 2016. 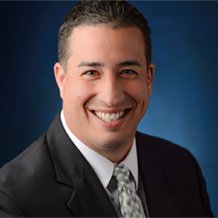 Peter is a member of the Palm City, Stuart, and Hobe Sound Chamber of Commerce, the Martin County Board of Realtors, a Board Member of the Martin County North Little League Association, and the Chairman of The Executives networking group. Peter is dedicated and committed to his customers and will work tirelessly to help them find the coverage they need at the price they can afford. Peter resides in Palm City with his wife, Jean, and their three children.